Wanderlei Cesar da Silva was born on 3rd July 1976, in Curitiba, Brazil, and is a mixed-martial artist who currently competes in RizinFighting federation, but in the past he has competed in Japan`s Pride Fighting Championships, and was the PRIDE Middleweight Champion, and also the PRIDE Middleweight Grand Prix Tournament Champion in 2003. Have you ever wondered how rich Wanderlei Silva is, as of late 2016? According to authoritative sources, it has been estimated that Silva`s net worth is as high as $18 million, earned through his successful career as a fighter which now spans over 20 years. From an early age, Silva was inspired by fighting, and little by little learnt the basics of Muay Thai and kickboxing at the Chute Boxe Academy. Several years later he joined the military, and thanks to his fighting skills, quickly rose in the ranks. While still in the military, he joined Vale Tudi and Brazilian jiu-jitsu school. 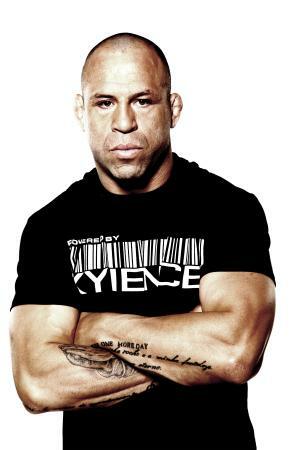 Because of many fights in the Vale Tudo style, Wanderlei gained scars around his eyes. His professional career began in 1996 against Dilson Filho, whom he beat by KO in the first round. He fought and won one more match in BVF, against Marcelo Barbosa by TKO, as Marcelo injured his shoulder and submitted. He then took a step forward and fought in International Vale Tudo Championship events, defeating such fighters as Sean Bormet, Egidio da Costa, and Mike van Arsdale, but also recorded his first loss, against Artur Mariano. After a few more successful bouts, Silva won the IVC Light-Heavyweight Championship in 1999, against Eugene Jackson. His net worth was rising steadily with his successes. He joined UFC in 1998, and fought against Vitor Belfort on 16th October that year, but lost the match after only 44 seconds; nevertheless, he bounced back with a victory over Tony Petarra. In 2000 he faced Tito Ortiz for the UFC Light Heavyweight Championship, but lost via unanimous decision. He then left UFC and fought in PRIDE, but eventually returned to UFC in 2007, and since then has won matches against such fighters as Keith Jardine – earning Knockout of the Night and Knockout of the Year honors – Michael Bisping, Cung Le, and Brian Stann. In 2014, Silva refused to take a drug test, and as a result he received a lifetime ban by the Nevada State Athletic Commission. However, his ban was reduced to three years, but in 2016 he left UFC. Silva has had most success in PRIDE Fighting; he joined the organization in 1999, and in his debut match he fought against Carl Ognibene, and won by unanimous decision. He continued in the same rhythm, fighting against Daijiro Matsui and Bob Schrijber. In 2001 Silva won the Pride Middleweight Championship, defeating Kazushi Sakuraba by TKO after only 30 seconds of the fight. He managed to defend the title four times, before losing it to Dan Henderson in 2007. Also, in 2003 he was the winner of the Pride Middleweight Grand Prix Tournament, defeating Quinton Jackson in the finals. He reached the semi-finals in 2005 losing to Ricardo Arona, and again in 2006 this time losing to Mirko Filipović. Still, his net worth was improving. Silva`s most recent activities include a multi-fight contract with the Bellator MMA, and he will debut after 25th May 2017 when his ban ceases. He also competed in a tag team grappling match in the Rizin Fighting Federation alongside Kiyoshi Tamura, against Kazushi Sakuraba and Hideo Tokoro; the match ended in a draw. Furthermore, it was scheduled for Silva and Marko Filipović to fight as a part of the Rizin 16-man open weight tournament, however, Silva pulled out of the fight. Regarding his personal life, Siva has been married to Tea since 2002, and has a son with her. Also he has a daughter from one of his previous relationships. Wanderlei now holds dual citizenship, as he became a US citizen in April 2016. 1 Lost to K1 veteran Mark Hunt at Pride Shockwave 2004 by split decision. 2 Despite fighting him three times, he is a huge admirer of Pro-Wrestling legend Kazushi Sakuraba. 3 Has a son named Thor. 4 MMA legend, and former Chute-Boxe member, José "Pelé" Landi-Jons helped him masters his now-infamous techniques of Muay Thai clinch and stomping. 5 Is a black-belt in Brazilian Jiu-Jitsu. 6 Is a big fan of soccer legends Pelé and Rivaldo. 7 Trains with Chute-Boxe academy in Curitiba, south of Brazil, under Rafael Cordeiro and Rudimar Fedrigo. 8 Is the undisputed Pride FC Middleweight Champion since 2001, and Pride Middleweight Gran Prix 2003 Champion. 9 Fox shows an edited version of his fights to the american audience due to the excess of violence. 10 Fought 30 times in the last six years, achieving the mark of 20 knockouts. 11 Favorite moves are "soccer kicks" and stomps against a downed opponent.